Sophisticated analytical scales - both electronic and digital scales - for laboratory, pharmacy and anywhere where tight precision is a must. With laboratory scales from respected manufacturers such as AND Weighing, Adam Equipment DigiWeigh Ohaus and Sartorius, you can be sure you're getting the utmost in quality and features for your budget. Baby scales for use in hospital, doctors office, nursery or home. Both mechanical and digital baby scales from Seca, FAO Schwaez, HealthOMeter, DigiWeigh, Medweigh and Tanita. Bariatric scales designed to weigh heavy patients with a body weight of 550 pounds or more from MedWeigh, Detecto, HealthOMeter and Seca. Fast shipping worldwide, secure online ordering, and don't forget about our Low Price Guarantee. With four different solar powered electronic bathroom scales and one portable bathroom scale (small enough to carry in your suitcase! ), you're sure to find one that meets your need for the home. Professional quality digital counting scales from Ohaus, Mettler Toledo, Salter Brecknell and A&D. Always in stock and always at huge discounts. Heavy duty electronic digital crane scales the toughest jobs from Chatillon, Salter Brecknell, Dillon and CAS and Ohaus. With the growing trend of farmers markets we here at Scalesgalore.com have compiled a short list of our most popular portable Digital Legal for Trade scales. Great selection of top brands of Electronic Floor Scales like Cas, Digiweigh, Inscale, Intercomp, Ohaus and Salter Brecknell. For all your Industrial needs. Bakery and meat counter, to the digital point of sale price computing scales at checkout, to Tanita's portion control scales for restaurant and cafeteria, to Chatillon's mechanical hanging scales for the produce department, we have the right scale to meet your needs and your budget. Scales for industrial use from the world's leading manufacturers - Ohaus, Tanita, Chatillon Ametek, CAS. Electronic and mechanical toploading scales for general weighing. Digital industrial crane scales for super heavy loads. Electronic digital jewelry scales from DigiWeigh, Tanita and Ohaus. Several different models to choose from in many different capacities for weighing diamonds, semi-precious and precious stones, gold, and silver. Several different economical kitchen scales to choose, perfect for use in kitchen as a cooking or diet scale, in office as for weighing mail for postage or in the craft room for weighing wax for candle making or other arts and crafts. 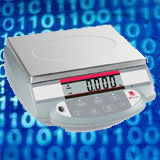 We here at Scalesgalore.com have compiled a short list of our most popular com Laundromat Scales, Digital and Legal for Trade. 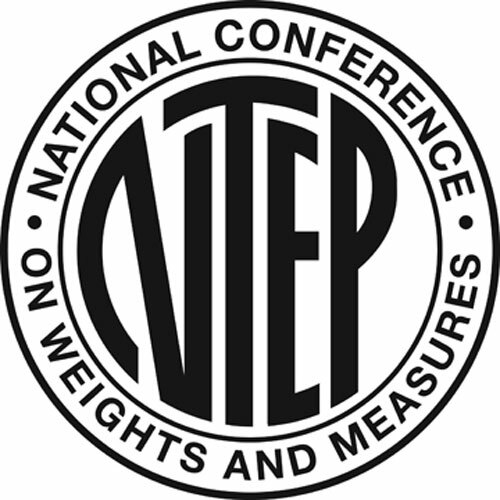 Every state requires that scales used in commerce (sales) must be NTEP (The National Conference on Weights and Measures) Legal for Trade approved. (NTEP Approved) all certified Legal for Trade. This is a mandatory step before any Scale design or model of device may be sold as Legal for Trade in Canada. Once approved, an approval number is issued authorizing the use of the device type for 'Legal for Trade' use in Canada. These digital pallet truck scales are rugged, dependable and ideal for accurate weights. The Pallet Jack Scales have been designed for use in rugged areas such as shipping docks, warehouses, and piecework production lines. We are pleased to offer our customers a wide variety of hard-working, heavy-duty shipping scales from Ohaus, Acculab, CAS, Chatillon, Tanita, Detecto, Mettler Toledo®- always in stock, and always at competitive prices. Veterinary Scales are available in various sizes and capacities for weighing small, medium and large animals.